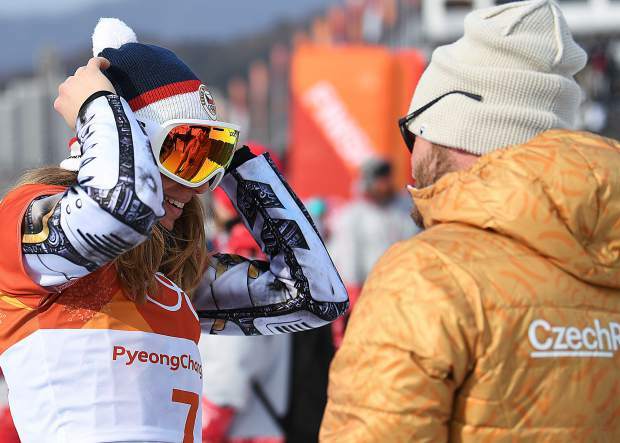 Ester Ledecká and her coach Justin Reiter, of Steamboat Springs, come togethr for a hug to celebrate after she won the gold medal in women’s snowboarding parallel giant slalom at Phoenix Snow Park in Pyeongchang, South Korea in the 2018 Winter Olympics. It was her second gold of the Olympics, her first coming in women’s alpine skiing super-G.
PYEONGCHANG, South Korea — Justin Reiter had dreamed about something like this, of course, about glory at the Olympics. Not until recently did he actually dream of this, though. He stood off to the side of the parallel giant slalom course at Phoenix Snow Park in Pyeongchang, South Korea after one of the last events of the 2018 Winter Olympics, happy, smiling wide, but out of the spotlight. Then the spotlight came to him, Ester Ledecká — the best athlete in Pyeongchang, reporters later debated? — ran to Reiter, two snowboarders both trained in Steamboat Springs. She threw her arms wide. “We did it!” she said, leaping toward him for a hug. “No, you did,” he replied, pulling her close for a gold medal hug. 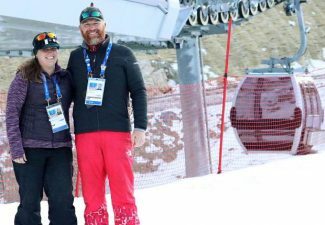 Reiter, a 2014 Winter Olympian, retired from snowboarding last summer in part for the chance to coach Ledecká, and Saturday he watched her ride to one of the great sporting achievements of the Pyeongchang Games. 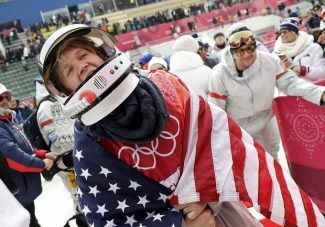 She won a gold medal in the women’s snowboarding parallel giant slalom, expected enough as she entered as the defending world champion and the World Cup leader and winner of eight of the last 12 races on the circuit. That came after she won gold in the Alpine skiing super-G last week. 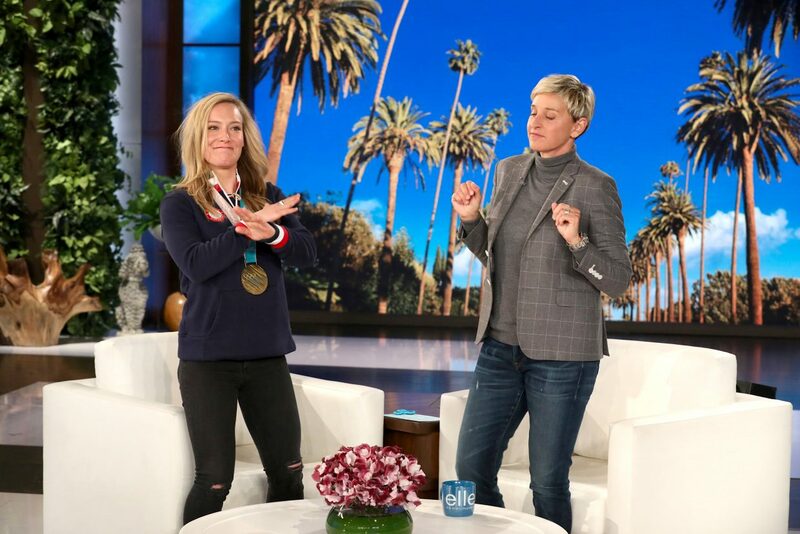 Saturday she became the first woman to ever win two individual gold medals in different sports at the same Winter Olympics, and the first person to do it since 1932. It was an absurd accomplishment people were still trying to grasp hours after it had happened. What’s an equivalent Americans can understand? Starring in the NBA and the NFL? Winning both the golf and the tennis flavors of U.S. Open? “Snow Jackson,” a Washington Post reporter quipped. There’s no real parallel to be drawn. She’s simply Ester Ledecká, successful enough to accomplish something so truly unique, yet humble enough to shrink at the suggestion she may be the most talented athlete of these Olympics. She has two gold medals, though? “Yeah, whatever,” she said, laughing. She made it look easy Saturday. Her qualifying time was more than a second better than anyone else. Once she was in the 16-rider bracket as the top seed, she had little trouble. Her margin for victory in both of the first three rounds was never less than 0.71 seconds, and she won in the finals against German’s Selina Joerg by 0.46 seconds. She wore a speed suit designed to make her look like she was a machine. It couldn’t have been more appropriate. She rides a longer board than most of her competitors, 185 centimeters, giving her more surface area on the snow and more speed. It’s more than just the board, however, it’s how she works it. “She carves the board a lot more than any other woman,” said Mike Trapp, another Steamboat-connected rider who competed Saturday and who trains with Reiter and Ledecká. After making the Olympics for the first time in 2014, Reiter burned to return after a forgettable competitive performance. He stuck in the sport for three more full seasons, but realized along the way whatever it was that drove him to work so hard at his sport wasn’t there anymore, at least not in the same way it had been. Several years before, he’d helped found a small team of Alpine snowboarders, all of whom had connections to the Steamboat Springs Winter Sports Club, drawn there by coach Thedo Remmelink, who runs a top program and one of the only ones in the United States. Reiter teamed up with Ledecká, Trapp and Robby Burns to make a foursome. When a medical condition forced the unexpected resignation of their coach Erich Pramsohler last summer, however, Reiter saw an opportunity. He conferred the squad, then made the decision. He’d retire and coach in Pramsohler’s place. Saturday he saw the fruits of those efforts as two of the original four competed in the Olympics. Trapp, 29 and from Cape Cod, Massachusetts, had been chasing his Olympic dream most of his life. He serves as a car mechanic in the summer, then spent years training with Remmelink in Steamboat, honing his craft. He had the best season of his career a year ago, placing 16th at World Snowboard Championships and as high as sixth on the World Cup circuit. 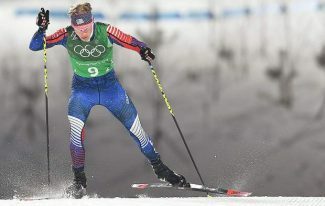 He wasn’t as sharp this season, topping out with a 28th-place finish on the World Cup, but his results had been good enough and the U.S. Olympic quota position favorable enough he got the nod to join the team. It was everything he’d dreamed. The results weren’t quite as magical. He placed 30th in what will likely be his last progressional race. Aaron “AJ” Muss also started Saturday, representing the United States and as another of those riders with big ties back to Steamboat Springs. A native of New Jersey, he spent several years carving on Howelsen Hill. He now works with a former Winter Sports Club coach, Richard Pickl, based in Austria. He’s had a fast World Cup season, the best he’s ever had racking up three of the four World Cup top-10 finishes he’s had in his career. He was on track to battle for a medal, too, sitting in third after his first qualification run. He had trouble at the top of the course on his second run and placed 20th when the top 16 advance. He’s not ready to step away yet and plans to make another at the Olympics in 2022. Still one more racer with Steamboat connections hit the snow Saturday, Vic Wild, competing for Russia. After becoming one of the big stories of the 2014 Olympics when he won two gold medals, he placed 10th on Saturday. To reach Joel Reichenberger, call 970-871-4253, email jreichenberger@SteamboatToday.com or follow him on Twitter @JReich9.